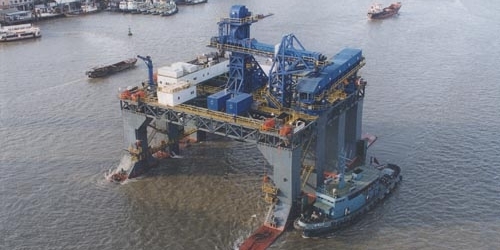 Seabulk invented, designed and managed the supply and construction of an offshore transshipper for lightering barges into ocean going vessels. 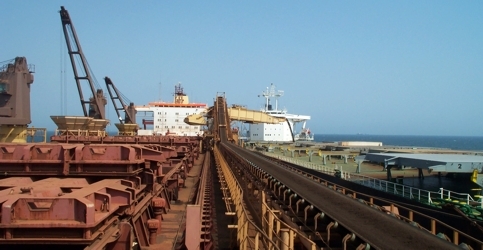 Seabulk invented, designed and managed the supply and construction of a geared bulk carrier with a self-unloading system for the purpose of transshipping mainly iron ore.
Seabulk supplied a complete solution to upgrade existing port operations including upgraded conveyors, transfer towers, a stacker reclaimer and a shiploader. Founded in 1989, Seabulk, formerly Seabulk Systems Inc., has become a world leader in developing innovative solutions for the marine bulk industry to deliver cargo from producer to end user. The marine shipping industry is in a state of rapid evolution and growth. The growing global economy has increased business opportunities for developed and developing countries and delivered vigorous growth in the global seaborne trade of dry bulk materials. Ports, shipping companies, as well as bulk material producers and consumers are planning and implementing both new and improved systems and facilities in order to remain competitive and capture growth. With extensive experience in the marine bulk industry, Seabulk is positioned to satisfy the needs of the industry. Seabulk has unique strength in evaluating needs of customers and delivering innovative and integrated solutions. These include Onshore and Offshore installations for drybulk and liquid bulk handling These innovations have been recognized by the Industry through several awards for Engineering Excellence. Seabulk is involved with design and construction of ports and marine terminals for the bulk intermodal and cruise ship industry. The company has extensive experience in ocean engineering, deep sea dredging and port planning/development. Seabulk develops transshippers for barge-to-ship transfer and Cape-size ship unloading. 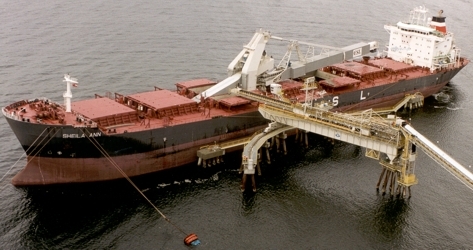 Seabulk supplies self-unloading ships and barges. These include gravity reclaim type vessels and top-down reclaimers which operate from the ship’s deck.